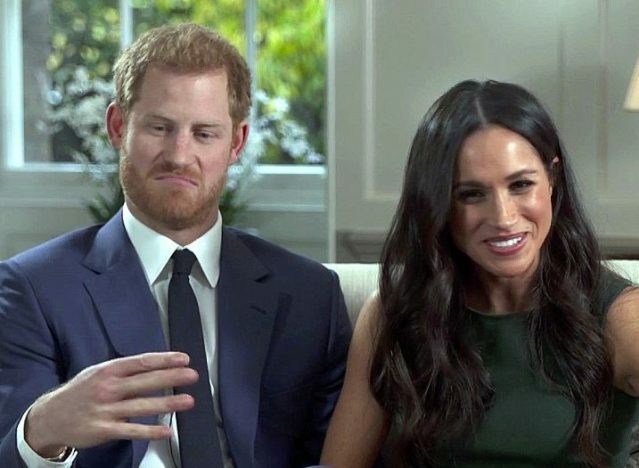 After watching the first post-engagement interview of Prince Harry and Meghan Markle, its clear the lively pair are made for each other. However, it’s the behind the scenes footage that shows the sort of fun-filled, happy relationship the couple share. 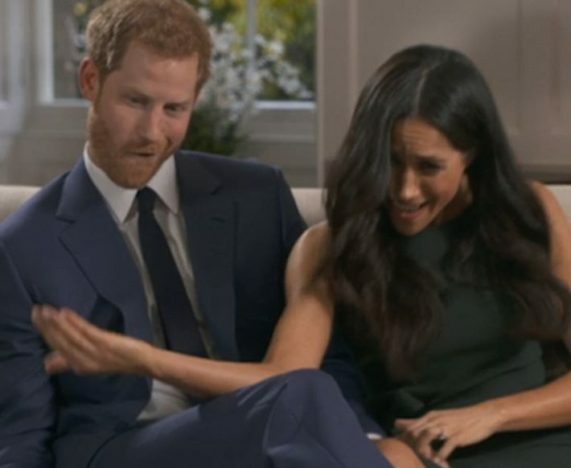 About five minutes’ worth of unseen footage shows Harry and Meghan mucking about and having a laugh, and although the sound is off, its clear they couldn’t be more excited about their upcoming nuptials. Speaking with reporter Mishal Husain the pair appeared to share a similar sense of humour, as well as various humanitarian interests. Their shared devotion to charitable causes and passion for ‘seeing change’ is what Meghan believes led to that all important second date. She’s capable of she’s capable of anything. And together as I said there’s a hell of a lot of stuff, work that needs doing. At the moment for us, it’s going to be making sure that our relationship is always put first, but both of us have passions for wanting to make change, change for good. And you know with lots of young people running around the Commonwealth, that’s where we’ll spend most of our time hopefully. We all know Prince Harry as the wild card of the Royal Family – often seen out enjoying himself at various glamorous parties. 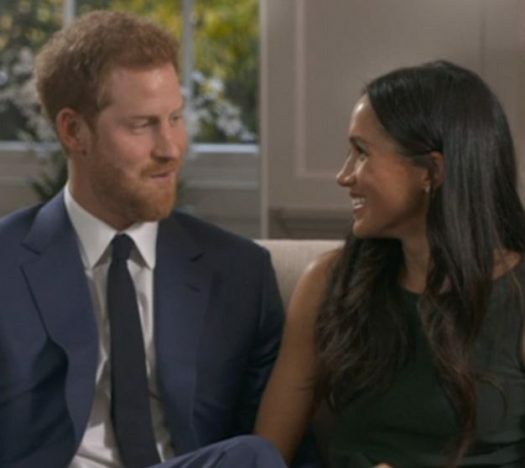 However – with Meghan at his side – we are seeing a brand new prince; one who enjoys cosy nights in at home, one who watches the telly with his missus. His Royal Highness even proposed to the Suits actress while they were cooking a roast chicken dinner together at their Nottingham Cottage home. [We were] yrying to roast a chicken and it just – just an amazing surprise, it was so sweet and natural and very romantic. He got on one knee. It seems like Meghan is already very much at home at Buckingham Palace – having even charmed the Queen’s corgis. Oh they’d be thick as thieves, without question. I think she would be over the moon, jumping up and down, you know so excited for me, but then, as I said, would have probably been best friends – best friends with Meghan. 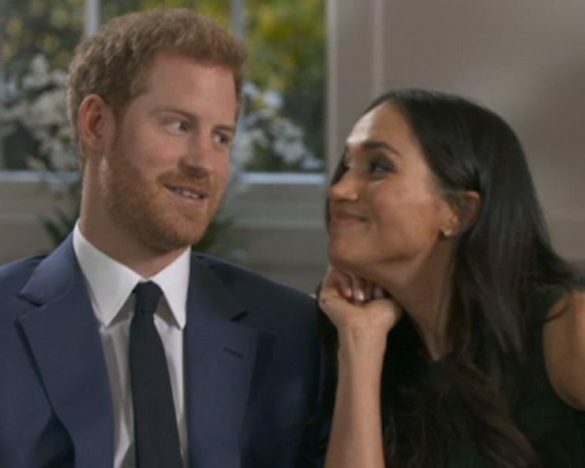 Even non-royalists are loving seeing this regal couple who aren’t afraid to show their silly side. 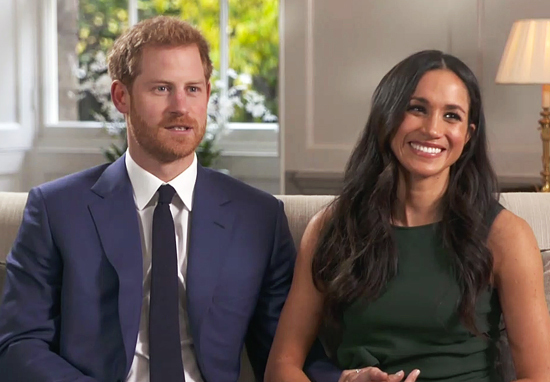 One person gushed: ‘Never get invested in the Royal family but there’s something about Prince Harry and Meghan Markle which is unbelievably cute’. Another confessed: ‘I have so many feelings on the institution of the royal family and the idea behind it but I do love the stories of the humans inside that institution and dammit I bloody love a good wedding. harry & meghan are v cute’. Prince Harry and Meghan looked so cute and happy today. They're like a real life cheesy Lifetime movie. I have so many feelings on the institution of the royal family and the idea behind it but I do love the stories of the humans inside that institution and dammit I bloody love a good wedding. harry & meghan are v cute.